Q: Does an army or fleet count towards the max 8 units that can be produced per turn? No. As many Armies and Fleets can be created per turn as desired, so long as they have at least one unit each. History - After Andwoidia's defeat at the hands of Escotia and House Ordos a thousand turns ago, the city states of Andwoidia were divided by Esoctia to leave the former empire weakened and broken. A secret, loosely tied alliance was formed between these states, the Open Handset Alliance. They waited, biding their time, collaborating and preparing for their opportunity to rise to their former glory. When the Lord Protector cwoaked they saw their opportunity. 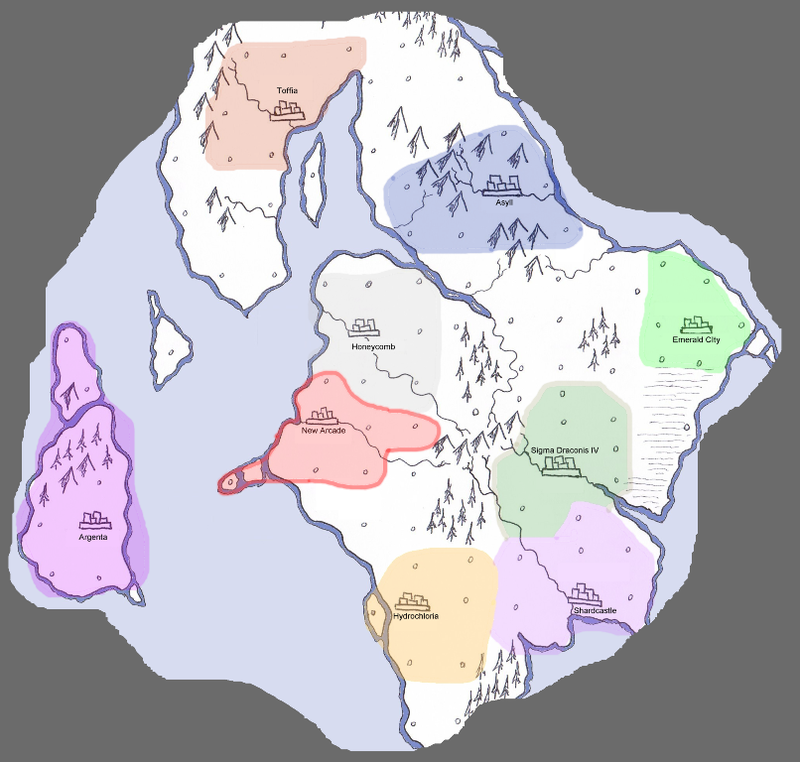 They quickly overtook the nearby Escotia-friendly side, iEmpire, and reformed under the name Andwoid 3.0 led by a mathamancer called Ewic Roboto. I declare turn 1 has started. "No more than X units can be created in a turn, where X = 8 + (Villages / 2). That is, an Empire with 6 villages can create 11 units in a turn." Give orders to your Foolamancers and Lookamancers. Players have 72 hours from the time of this post to PM those things. In addition, the next 72 hours are an open Diplomacy and Trade Phase. Players may make declarations, threats, etc. The Map below is quite large, about 400k. Toffia would like to open talks about alliances with Argentia. Do you need a foolamancer to defend each special character, or one foolamancer to defend all your special characters? Do you need one foolamancer to defend the Treasury or one for Total Shmuckers and one for Wages Bill? Last edited by Twoy on Mon Jan 10, 2011 4:13 pm, edited 1 time in total. Do we have to declare alliances here? Or can we make "secret coalitions" by PM'ing you? Also, does ALL units start in the capital? Q: Do you need a foolamancer to defend each special character, or one foolamancer to defend all your special characters? Q:Do you need one foolamancer to defend the Treasury or one for Total Shmuckers and one for Wages Bill? Q: Do we have to declare alliances here? Or can we make "secret coalitions" by PM'ing you? Yes, on the forum. Alliances, Trade, War, Peace - these are all public arrangements. Of course, you can have a secret agreement, but the terms will not be enforced by the GM. Q: Also, does [sic] ALL units start in the capital? A: They are created in the Capital, but can move in that same turn. PLEASE REMEMBER THAT ARMIES AND FLEETS COST SCHMUCKERS TO CREATE. Is the New Arcade interested in alliance with Andwoid 3.0? Edit: And how far can an army move in a turn? How do we specify locations to move to? Sovereign is interested in an alliance between Gerardion and Sesun Federation. Q: And how far can an army move in a turn? Q: How do we specify locations to move to? Broadly. So you might say "March SE to the village by the Mountains", or "Sail North until you reach an island". As the game progresses, we'll name the Geographical features - so if you get an army near some mountains, or discover an isalnd, you can give it a name (no more than 8 characters, please). Q: Why can't I see the map? A: I don't know. I'm hosting it through Google, so if your server is blocking that you're in trouble. I'm not a computer-things-knowing-person, so perhaps someone else can help you. Do you have other sites you can't visit? Are you in P.R. China? If you wish, PM me your email, and I will send it to you via that medium. The Arkadian government is certainly interested in an alliance with Andwoid 3.0 but requests that a trade agreement will be added to the alliance. If those terms are acceptable I like to announce an alliance and trade agreement between the people of Andwoid 3.0 and the people of New Arkadia. Syssypi openly extends its arms, offering free trade to any who would take it (up to the maximum of two, obviously). "Your actions affect so many others than yourself. You will come to realise how little choice you have. You will do what you must, become what you must, or others will pay for your cowardice." Last edited by zilfallon on Tue Jan 11, 2011 11:05 pm, edited 2 times in total. Ordos accepts Syssypi's offer of a Trade Alliance. Ordos would ask of Sesun to join House Ordos in an Alliance and Trade Network. To trade, players must have adjacent territories – villages or capitals – or have a Fleet adjacent to the other Player’s territory. Well, the offer of Alliance to Sesun still stands. Trade agreement will have to be with Gerardion then. Andwoid 3.0 accepts Arcadia's terms, accepts the alliance and the trade agreement. Adjacent territory and such? Well, i don't know if Gerardion is adjacent to them, since I still don't have an acces to the map. Gerardion is interested in allying with House Ordos as well. Alas, I don't think a Triangle Alliance will work. So each of us must pick one. Well in that case, I'd say House Ordos accepts Gerardion's offer, assuming it will remain standing after Sesun speaks.